Renkata .. each and every single card is GORGEOUS in it's own unique way! And each card is INCREDIBLY coloured .. you do the most intricate details .. I absolutely LOVE your style! These are all just wonderful and colored beautifully!! I think it is so fun looking back on what you have made over the past year. Have a wonderful New Year. WOW, they are all so beautifully colored, you are an amazing colorist. Each card is more beautiful than the last. Happy New Year, Renkata, may 2012 bring you all that you wish for and need. 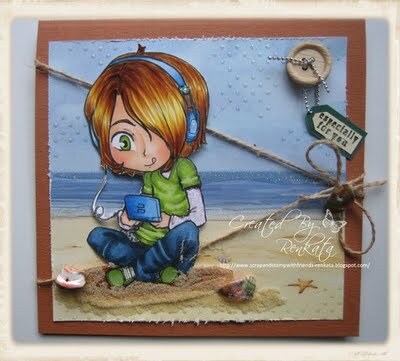 Beautiful work Renkata. Wishing you a Happy New Year. May you be blessed throughout the year. Holy Moly sweet Friend!!! These are truly OUTSTANDING!!!! Each one is so appealing with your wonderful coloring technique:) You are my Inspiration and thanks so much for chance at class~~excited!! Oh wow, i admire your creations, always ! Your colouring is always perfect ! Have a super year 2012, wish you the best ! Oh Renkata! One card is just as gorgeous as the last. Your work is just beautiful! OH...Renkata, your cards are just fantastic!!! I am such a lucky gal, to be the proud recipient of one of your favorite cards! It's been on display in my craft room since the VERY first day I received it and I will forever cherish it. 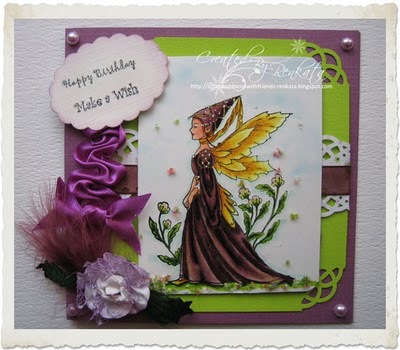 It's that stunning PURPLE Make A Wish Birthday card and I LOVE it and have ever since the very first day I saw it. I think it's amazing that you are giving away one of the classes in Suzanne's Classroom! I have taken the first four and hope to eventually add number five, but that one if pricey, so I have not signed up yet. I have been spending a lot on new goodies, and need to be good for awhile. I did sign up for the SMASH book group and think that will be fun! Thanks for always leaving me such wonderful comments...it's been my pleasure to have met you and have on of the Favorite Cards! Yippee!! Oh WOW Renkata all your cards are so beautiful and your colouring always looks amazing. Hi Renkata, your coloring is simply gorgeous! Every card you make is as beautiful as the next. Wonderful way to start out the new year with such amazing candy. Your cards are always beautifully colored and embellished. You know I'm in awe every time I visit. What an inspiration you have been over the past few years and even more so today. Posting a little blip on my blog for ya sweetie. 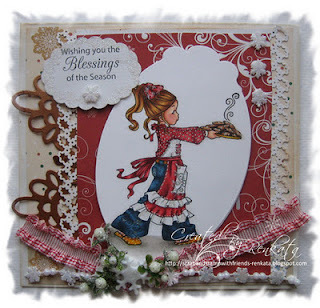 "Hugs"
Each and every card is absolutely gorgeous, Renkata! Your coloring is exquisite! Thanks for the inspiration and the chance at the wonderful blog candy! Happy New Year! Your cards are out-of-this-world beautiful! You have a real knack of coloring them and making them look so realistic! Some of the dresses look like velvet. Great job! I love your blog!